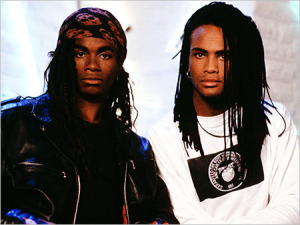 This week’s episode is all about the (remarkable) rise and (inevitable) fall of Milli Vanilli. in his home country (including a ballad called Rocky), he felt sort of weird about being a pop star. Frank decided to become a behind-the-scenes mastermind. To that end, he created a disco group called Boney M. He hired a couple of people to be the “stars”, but recorded most of the music and vocals himself. He made no secret of it, and nobody really cared. 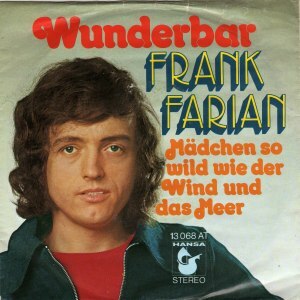 As disco faded from popularity, Farian faded from public view, settling down as a well respected, but not at all famous, record producer. “We were not hired, we were trapped,” Morvan later said. It’s a classic story: boy meets boy in Munich discotheque, boys form group, Frank Farian forces them to lip sync every note both on their record and in concert. Listen to the show for the whole story. You can check it out on iTunes, on Stitcher, or just click on the player below. omg! I freakin’ LOVE Boney M!! Totally takes me back to my childhood. I remember mom and dad coming home from the club and my dad drunkenly showing us his dance moves to “Rasputin” – my mom went out the next day and bought their album ‘Nightflight to Venus’ – I even have them on my iPod. haha!